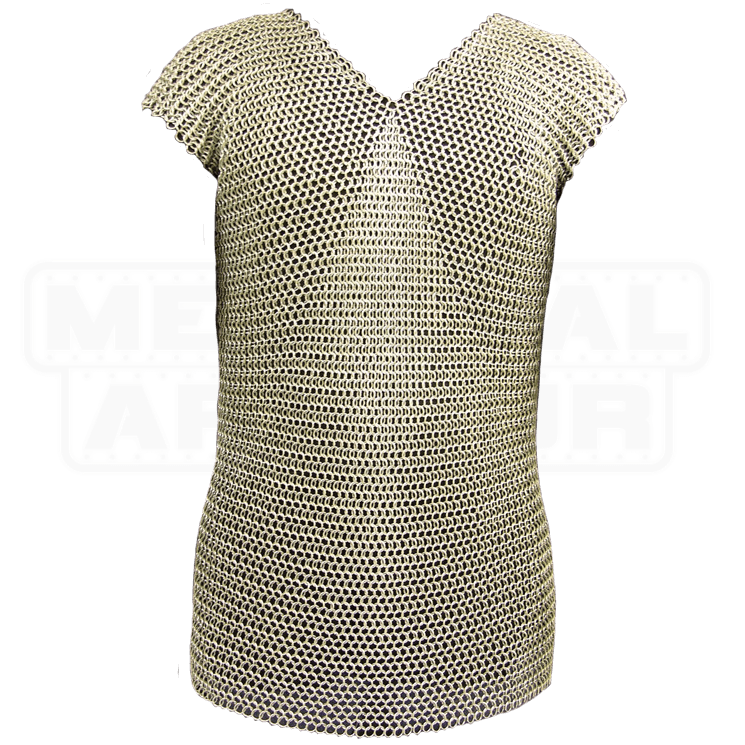 Our Sleeveless 55 Inch Butted Chainmail Shirt represents a great value for the non-contact or light contact role player. 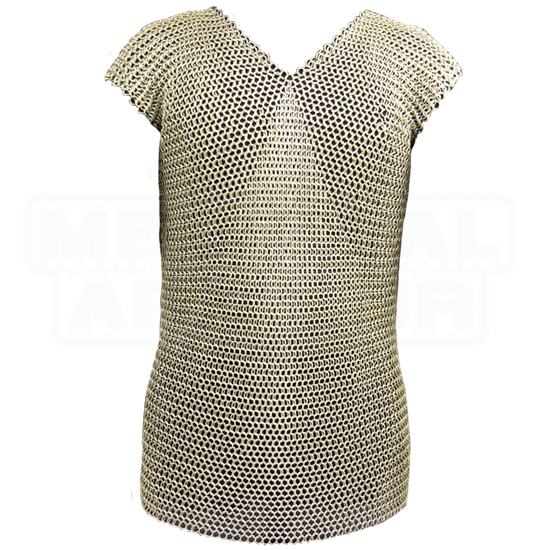 These sleeveless chainmail shirts provide a comfortable, authentic appearance to any medieval outfit. The rings are crafted from 16 gauge mild steel with a 9.5mm diameter. This chainmail shirt fits up to a 55 inch chest size, measured over a gambeson. The construction is butted round rings that are Zinc plated for easy maintenance and weighing approx. 14-15 lbs. The shirt arrived with a small hole in the back, but I was able to fix it. The item was backlogged for a while, but customer service was very nice and helped me through the process. The rings are butted fairly close, and maybe it is not possible to get them any closer (only one was open, as far as I could tell. I think this was good buy for the money.